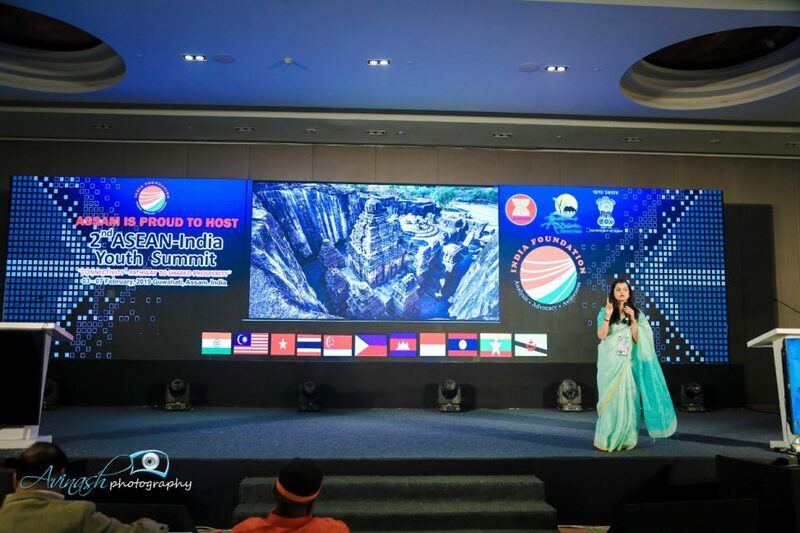 Building on the success of the first India-ASEAN Youth Summit, 2017, India Foundation and Ministry of External Affairs, Government of India (MEA) organized the second leg of ASEAN-India Youth Summit on the theme Connectivity: Pathway to Shared Prosperity. I got an opportunity to mentor and present ‘What Is India‘ to Youth leaders from India and the ten ASEAN countries – Brunei, Cambodia, Indonesia, Lao PDR, Malaysia, Myanmar, Philippines, Singapore, Thailand, and Vietnam. I presented India as a kaleidoscope of lenses coming together to make her as we see in our daily lives. We are the world’s oldest and living civilization. India has thriving Art, culture, economy, polity and foreign relations. As an example, our literature is a collection of 1 billion verses ranging from economics to health to food to politics to philosophy. In 2014, we had the largest ever election in the world with 814.5 million people eligible to vote. And to ensure that each of these voters vote, more than 930,000 polling booths are installed all across the country. Spirituality is perhaps India’s most profound gift to the world. The land has always nurtured the human quest for truth. From Beatles to Steve Jobs, this is home for spiritual seekers. For us, Individual is not the basic unit of society. It is always the Family that comes first. India always believes in mutual prosperity. Our foreign relations are not built on defence but friendship. If we had created the United Nations, we would set up a Prosperity Council rather than a Security Council.